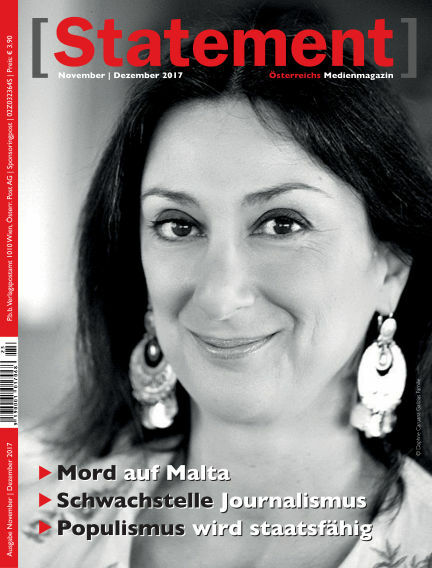 In this issue of [Statement] : Die neuste Ausgabe des [Statement] beschäftigt sich mit den Hintergründen des Mordes an einer Journalistin auf der Ferieninsel Malta. With Readly you can read [Statement] (issue 11-12 2017) and thousands of other magazines on your tablet and smartphone. Get access to all with just one subscription. New releases and back issues – all included.